포스텍 산업공학인재양성사업단에서는 아래와 같이 "2017 International Symposium on Smart Factory"를 개최하오니, 대학 구성원 여러분의 많은 참여 바랍니다. The POSTECH Education Program for Industrial Engineers will hold "The 2017 International Symposium on Smart Factory" as belows. 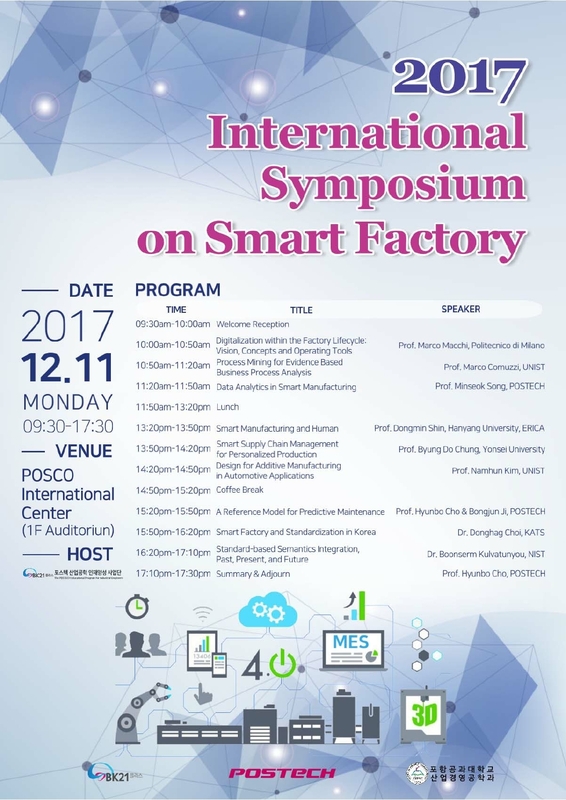 This symposium is open to all POSTECH members who have interests on smart factory and your participation will be greatly appreciated. - The Burger King lunch coupon will be provided to all students who participate in the whole session.